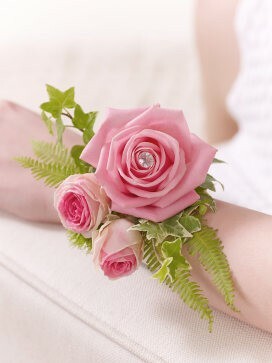 Pink Rose and Fern Wrist Corsage. 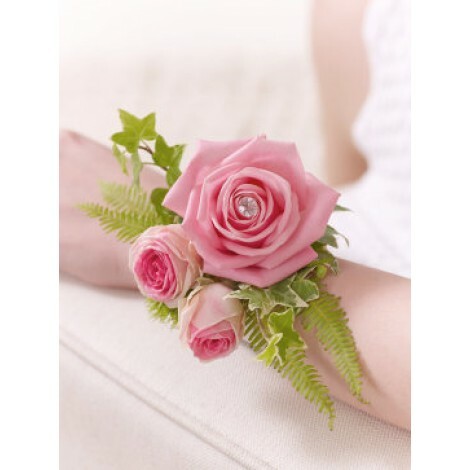 Make a lasting impression and accessorize any outfit with this pretty, pink rose and fern wrist corsage. This really is an adorable corsage with a magical, modern day twist! 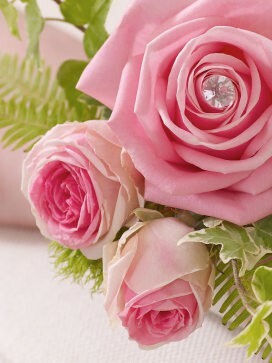 The main focal point of the design is the velvet soft, pink rose accented with the use of delicate spray roses. All of which is perfectly off-set using adorable and very vintage looking variegated ivy and fern. This very vintage wrist corsage is set onto a white wristlet, completed with a diamante pin.